Innovations in Automation, Vision, Controls and More! 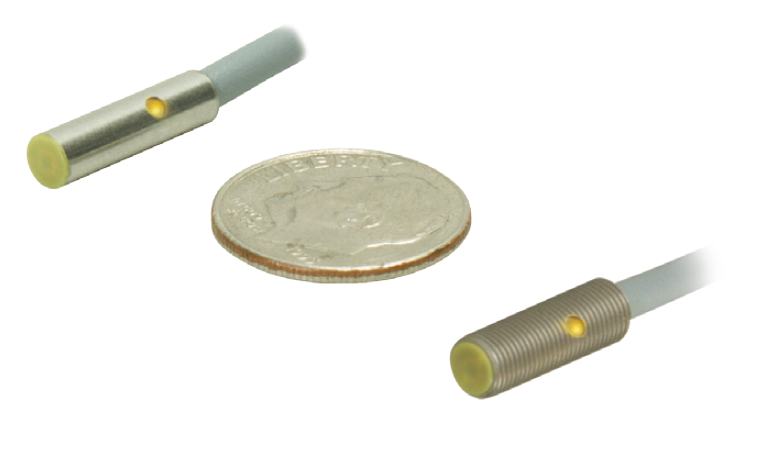 TURCK is proud to announce the addition of new 4mm and 5mm barrel sensors to its existing lineup. The new EG05K an EH04K are 15mm shorter than the standard EG05 and EH04, which allows the sensors to be used in applications previously not possible. These new, more compact sensors are a welcome addition to the stamping industry, medical device manufacturing and any application where small sensors are a requirement. The EG05K and EG04K are housed in a stainless steel barrel and come with a high flex TPU cable ensuring it can withstand harsh applications including those involving corrosive chemicals. Offering a 1mm sensing range and flush mounting, the EG05K and EH04K reduce the chance of damage while still offering the sensing range demanded. The EG05K and EH04K come equipped with a high visibility LED to provide users a visual indication of the sensor's status. "We created the EG05K and EH04K in response to hearing customers request a solution that met the increasingly compact requirements brought on by the shrinking size of machinery", explains John Murphy, Product Manager for TURCK. " These new additions provide our customers with the shortest M4 and M5 sensors on the market while retaining the robust qualities our customers expect from TURCK". Keep Your Production Line Moving and Improve Your Bottom Line! Mark Your Calendars For The C&E Industrial Automation Show! C&E sales inc. Powered by Blogger.